In 2012, in midwest Australian scrubland 300 kilometres from the nearest town, academic, government, and industry leaders gathered. Before them, in neat formations of knee-high metallic ‘spiders’, lay the Murchison Widefield Array, Phase I. Six months later, the MWA commenced its mission: to observe and characterise the southern skies. The scope of work included everything from the conditions in Earth’s upper atmosphere, to storms on the Sun, to the contents of the Milky Way, to the origins of the Universe. Exciting outcomes followed rapidly. There were new discoveries about the evolution of the Earth’s ionosphere and the identification of more than 300,000 newly observed radio galaxies. The MWA also helped monitor space junk, helping to solve challenges that face satellites in orbit. 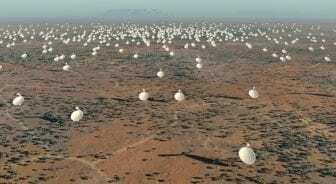 Although a major scientific instrument in its own right, the MWA is a precursor to the Square Kilometre Array (SKA) – the ‘mega-science’ project designed to unravel the Universe’s ultimate mysteries. MWA Phase I was a $51 million multidisciplinary endeavour that triggered novel collaborations across physics, engineering and computing. Led by Curtin University, with 16 partner institutes from four continents, the project forged capacity-building in science and technology, and generated ever-multiplying economic and social benefits. Communications technology was developed to stream the data 700km via a 10Gbps fibre link to the Pawsey Supercomputing Centre in Perth. Through federal funding, the centre’s supercomputing capabilities were enhanced to meet the MWA’s petascale storage demand. Local industry exploited the rare opportunities to develop specialist construction and manufacturing skills, and, at CSIRO’s Murchison Radio-astronomy Observatory, the array itself was constructed by a WA-led team of engineers and technicians. These skills – translated from academia to industry – put WA in the prime position to bid for the billion-Euro SKA project. In mid-2013, the MWA’s 2,048 antennas began scanning the night sky, finding remnants of exploded stars, solar flares and other radio-luminous objects. Designed to gather and process data at 170 Gbps, the MWA produced seven petabytes of data inside three years – equivalent to half-a-million HD videos. Most importantly, global use of the MWA progressed two of the project’s key science goals: galactic and extragalactic all-sky surveys, and time-domain astrophysics. Designed to gather and process data at 170 Gbps, the MWA produced seven petabytes of data inside three years – equivalent to half-a-million HD videos. The GLEAM survey became the most downloaded set of new astronomical observations. A Curtin-led international team built a catalogue of 300,000+ galaxies and processed 35,000 images to create a “full radio colour” panorama of the entire southern sky – a world-first. These invaluable resources help inform our understanding of phenomena such as supermassive black holes and colliding clusters of galaxies. The MWA team was honoured in 2015 with a Thomson Reuters Citation and Innovation Award for impact in Australian Space Sciences. And, demonstrating the accessibility of MWA resources, an Australian undergraduate student also found fame after using MWA data to discern the shape and extent of atmospheric plasma structures. The early successes, and the demonstration that the Murchison was an excellent site, were key in Australia being awarded half the SKA project. In only three years, the MWA had underpinned 71 refereed scientific papers totaling more than 2,000 citations; many published in Publications of the Astronomical Society of Australia (PASA), including the seminal 2013 MWA Phase I description paper – the highest-impact paper led by an Australian astronomer for the previous five years. PASA’s editor acknowledged that the “stream of high quality MWA papers has helped tremendously to underpin the quality of the journal, and in turn aided us in attracting other high quality papers, leading to our record performance in the impact factor”. This outcome also serves to enhance the international competitiveness of Australian science. In another realm of endeavour, cultural innovation followed from a unique gathering of astronomers and the Wadarri Yamatji people ­– the traditional custodians of the land that includes the MWA site – under the Murchison’s starry sky. For then-Director of the MWA, Professor Steven Tingay, the exchange allowed the group to “connect the ancient with the present, for astronomers and Indigenous people to share their understanding of what stars are, and what they represent to our cultures”. Tingay shared the exchange at TEDxPerth. 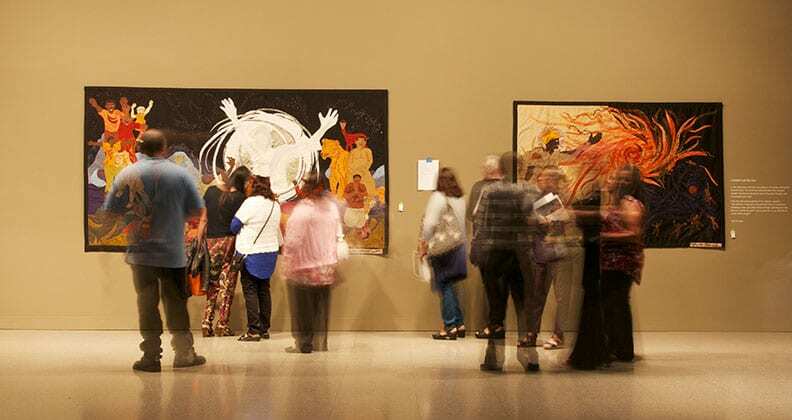 A series of astronomical paintings by Wadarri Yamatji artists accompanied similar artwork from South Africa to form the Shared Sky exhibition, launched in Perth in 2014 before travelling to South Africa, the UK and Europe. The Shared Sky exhibition launched in Perth in 2014 before travelling to South Africa, the UK and Europe. The $2.5 million MWA Phase II expansion commenced in 2016, with ARC support and an increased consortium of 21 partners in six countries. MWA staff and contractors laid another 2,048 antennas by hand to minimise their footprint, out of respect for the landscape and the cultural heritage of the traditional custodians. Notably, for about 5 per cent of the cost of Phase I, Phase II provides a tenfold increase in capability. The MWA has been a game-changer for Australian astrophysics and radio astronomy engineering. It has driven fundamental and applied scientific research and inspired technological innovation, in collaboration with multinationals and Australian SMEs. It has also demonstrated exemplary environmental awareness and cultural engagement. Importantly, the ongoing community outreach and promotion will lift the profile of STEM education. The resulting scientific, economic and cultural impact result from foresight and timely investments. A Decade of Impact is a series that showcases some of Curtin’s most impactful research projects in recent years. The chosen research projects are examples of how Curtin translates its research into economic, environmental and social impact. 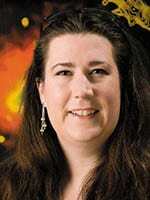 Professor Melanie Johnston-Hollitt is Director of the Murchison Widefield Array and a Professor at the Curtin Institute of Radio Astronomy and the International Centre for Radio Astronomy Research. 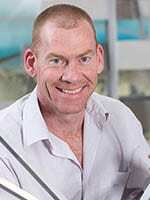 Professor Steven Tingay is an astrophysicist and Executive Director of the Curtin Institute of Radio Astronomy (CIRA) at Curtin University.